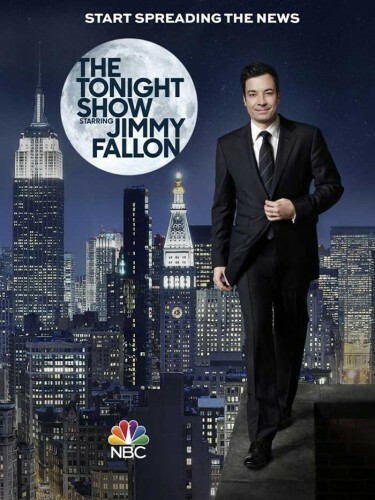 Los Angeles – “The Tonight Show Starring Jimmy Fallon” debuted to rave reviews and top ratings, and Clay Paky fixtures are part of the mix giving a new look to late-night television. The iconic “Tonight Show” now originates from NBC’s upgraded Studio 6B at 30 Rockefeller Center where lighting designer Fred Bock, of Ferri Lighting Design & Associates (FLDA) has used 17 Clay Paky A.leda B-EYE K20 innovative, LED-based moving lights, 16 new Clay Paky Alpha Profile 800STs and 17 Clay Paky Sharpy Washes for band lighting. The lighting package, which features some of the newest technology in the industry, is supplied by WorldStage. The Alpha Profiles serve a similar purpose to the B-EYEs. “They’re a great light that can be used for effects and beams in the haze, but they can also be used to light talent and scenery thanks to their shutters,” Bock reports. He selected them for “their flat field, size, brightness, shutters and versatility” and positioned some in the grid for back lights and eye candy shooting into the camera for music. Six have been placed downstage of the music set where they are used as keys for music and to light scenery for comedy skits. The popular Sharpy Washes also play an important role in the late-night show’s rig. “Once I show a designer the Sharpy Wash they never look back,” DeCorleto says. WorldStage furnished a similar complement of Clay Paky fixtures for “Late Night with Seth Meyers” delivering the same innovative technology to another new show that’s cementing NBC’s dominance in late-night programming.